Recent sustainability practices have given a new meaning to Mies’s famous dictum “less is more.” Where Mies intended the phrase as a reaction to over-detailed and overwrought architecture, with the rise of sustainability it has come to mean willful privation: to make do with less. It has gone from an aesthetic critique to an ascetic critique. 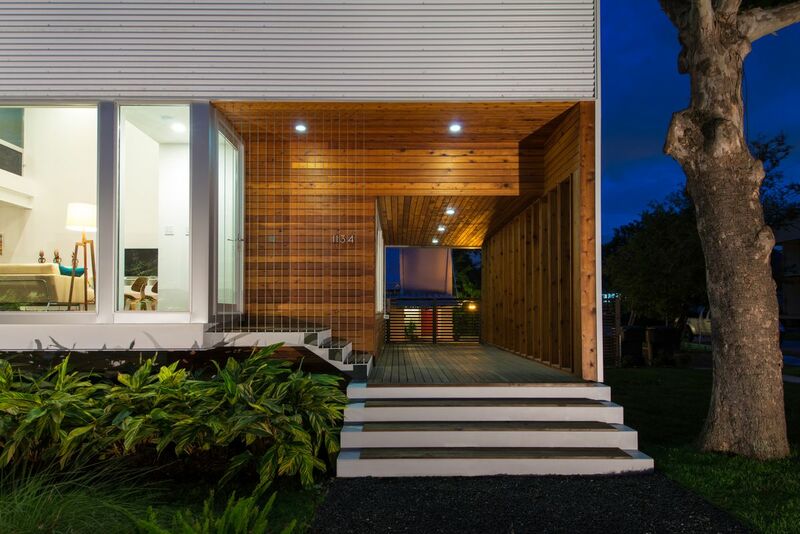 But the Perforated House flips Mies’s equation (and its unintended meaning) by asking the question, “can more ever be less?” Can more of something actually create less consumption, less energy, less need? 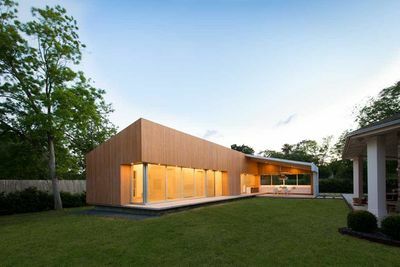 The project takes as its archetype the vernacular Texas dogtrot house, organized around a central breezeway that draws air through the center of the structure. 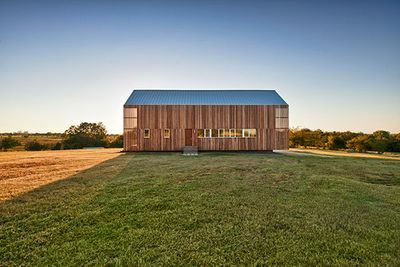 But in the Perforated house, we said “if one is good, then four are better,” quadrupling the dogtrot’s singular breezeway. 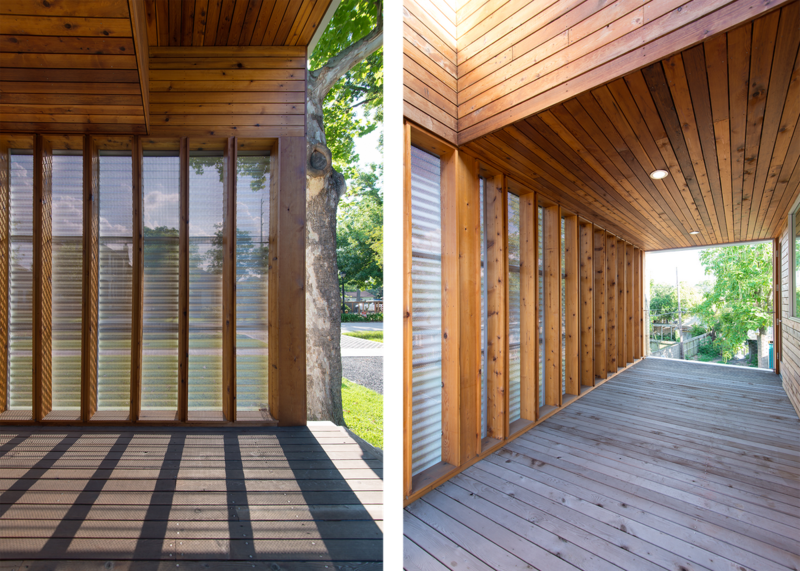 These breezeway-perforations create double-height spaces that organize the interior of the home, amplifying the project’s passive cooling strategy through a combination of cross-ventilation and stack-effect. 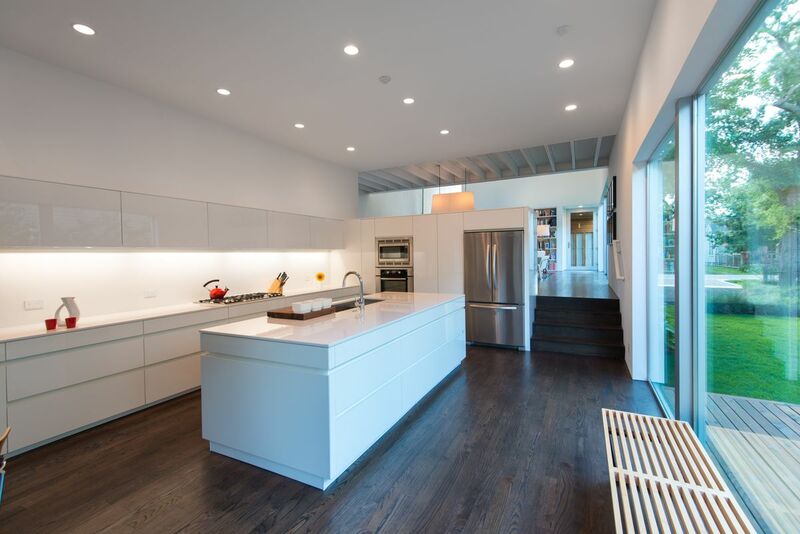 In addition, the perforations increase the amount of natural indirect lighting throughout the house, reducing the need for artificial lighting. 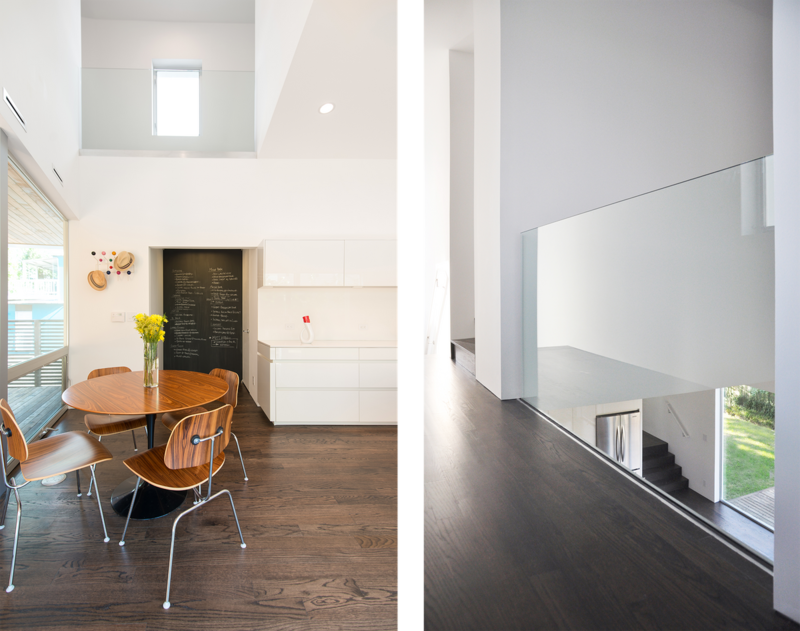 The double-height spaces create programmatic gaps at the second level that separate the private zones of the house. 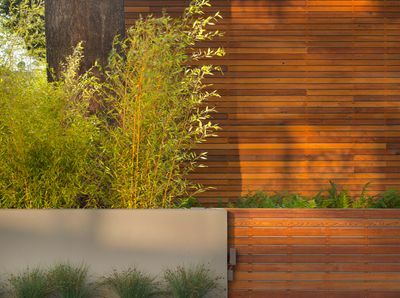 The project is lifted on a pier foundation at varying heights to encourage additional air circulation under the home, augmenting the cooling performance in the warmer months. The shifts in the raised foundation and the multiple breezeways help to break up what would otherwise be a 100’ long x 20’ wide space (the long elevations oriented North-South to reduce Western and Eastern exposures). Circulation is used to negotiate the breaks in continuity, weaving over and under the breezeways, connecting the shifted levels. 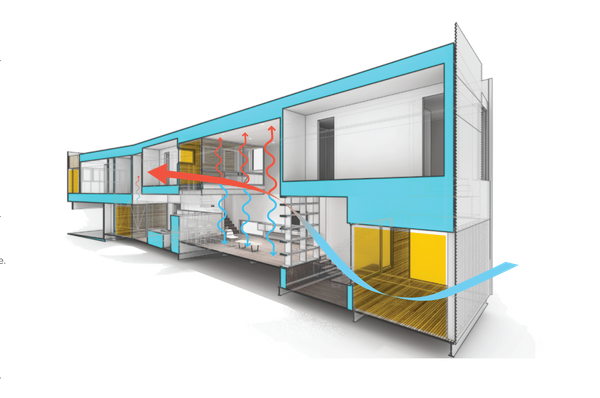 This results in degrees of spatial autonomy within an open and connected live/work environment, leveraging the breezeway’s inherently hybrid status – simultaneously interior and exterior – as a spatial and performative device, that through its multiplication creates a reduction in HVAC and electrical loads… More is Less: more openness is less air conditioning, more air is less artificial filtration, more daylight is less electricity.